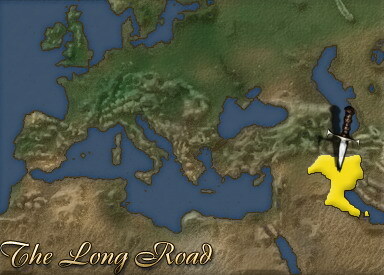 The Turks may very much be relative newcomers to both Anatolia and the Holy Lands, but the impact that they have had upon these realms since they migrated from the steppes east of the Caspian has been profound enough to shake the pillars of the oldest and mightiest neighbouring dynasties. Having seized control of the Abbasid Caliphate from the Buyids, and utterly crushed the Byzantines at Manzikert, the Turks have are poised to be the greatest power Arabia or Persia has seen for centuries.Settling down has been the Turks' secret to asserting their dominion. Traditionally a nomadic people, they have at last adopted a system of centralised rule to form the Seljuk Empire. Considering they have relied upon their natural skill at mounted combat and guerrilla warfare for centuries, the Turks have already shown incredible talent at governing a vast empire from a single throne.In the foreseeable future, greed and arrogance are likely to be the biggest threats to the mighty Seljuk Empire. Already, Süleyman Ibn Kutalmish in Anatolia has split from the Empire and threatens to capture more Seljuk lands. It would also be foolish to believe that the Fatimid dynasty in Egypt will be content to simply overlook the fertile banks of the Nile. They are not too happy about loosing control of the Holy Lands.So long as the Turks manage to combine their new system of centralised government with their innate abilities as mounted warriors, then their position in this corner of the world looks most secure. After all, how likely is it that an even more fierce and formidable race of nomadic warriors sweep down from the steppes? Trained in many weapons, these Janissaries, fight with a halberd and are protected by mail armour. Janissary archers shower the enemy with arrows, weakening and breaking formations before the infantry move in. The Janissary were quick to adopt firearms and use them with the same expertise they had shown with their bows. Poorly armed light troops expected to guard bridges and roads and support the heavier troops.